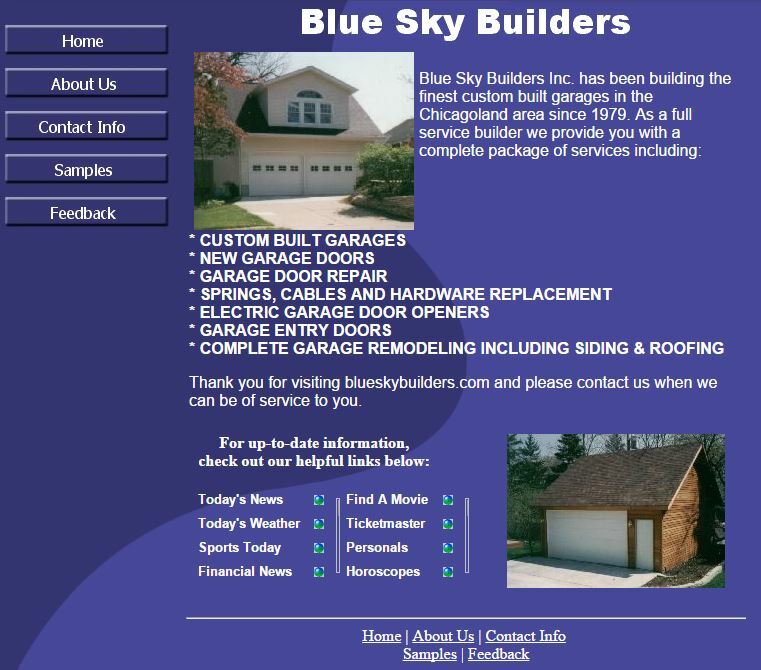 Notice Anything Different on the Blue Sky Builders Website? 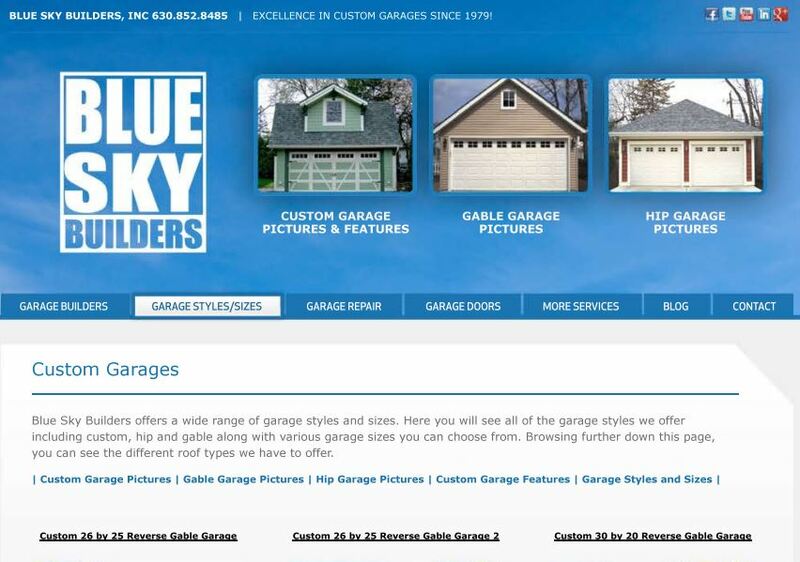 Blue Sky BuildersSkywriters Garage BlogBlue Sky BuildersNotice Anything Different on the Blue Sky Builders Website? Weather permitting, Blue Sky Builders construction season starts up in four days. To celebrate the opening of our 36th year of construction for homeowners, we have been doing a bit of construction of our own—our new website. After many years of our old website, we decided that it was time for a bit of a facelift, bettering the user experience and better displaying our work for homeowners throughout Chicagoland. Today, we’d like to share with you the evolution of our website, from its humble 2001 beginnings to the beautifully designed site that we have today. We’ve had many a redesign throughout the years, and the latest is one that we are incredibly proud of. Let’s take a look back, courtesy of Internet Archive’s Wayback Machine. Like much of the late 90s and early 00s, our website started off simple, and has grown into what it is today. In 2002, we moved to a white background, dropped the sponsored links, and added a small gallery. In 2012, we moved to the website that you knew and loved… until now. 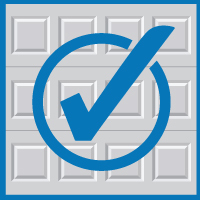 In this year, we added our blog, sharing all the news homeowners can use to make the most of their garages. Fully Responsive: Pull out your phone or tablet and open up our page. It’ll look just as stunning as on your browser. Improved Gallery: Now you can browse our best work more easily than ever! Head over to our garage gallery to see our projects in all their glory. 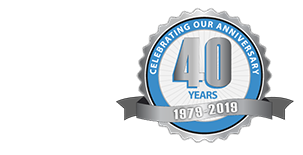 We are excited to take our website into its current state, and look forward to building garages for Chicagoland homeowners for years to come. We remodeled, and so should you. 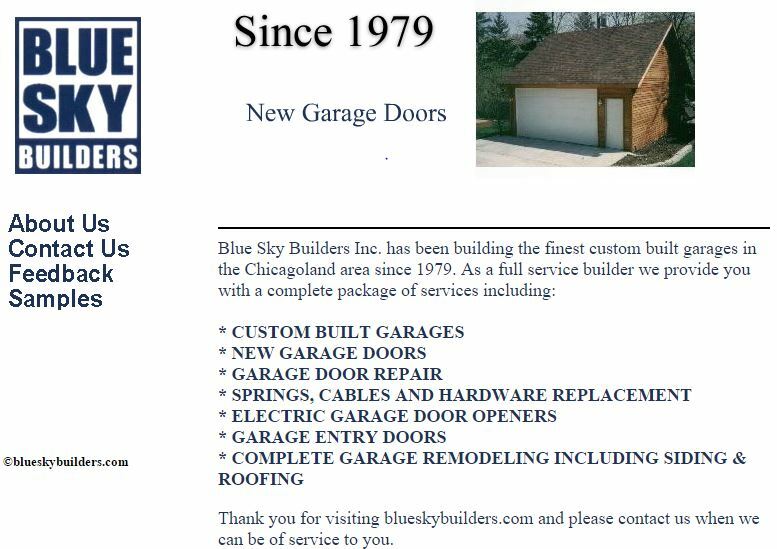 Contact Blue Sky Builders to see how the best in the business can improve the value of your home with a new garage in 2015.